November 1, 2008 - A roof may seem like just a roof to you. But to Jim Mumford of Good Earth Plant Company, a roof is one big pot for plants. 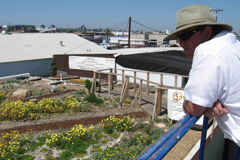 His imagination and vision have made him San Diego’s “green roof guru.” Mumford will share his expertise on green roofs in an upcoming seminar, "Introduction to Green Roof Design and Construction" at Cuyamaca College on November 8, 2008. 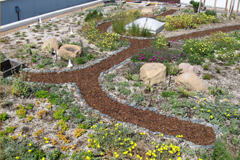 The session will familiarize participants with existing green roof technology, design and construction, and discuss the significant social, economic and environmental returns on investment from installing green roofs in San Diego County. Benefits include reduced energy costs, filtering and lessening storm water runoff, extended roof life, habitat restoration and fire retardation. Hours of the seminar are 9:30 a.m. to 12 noon and lunch is included. 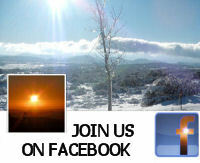 The class will take place at Cuyamaca College in Room F607 5510. The cost is just $20. To register, call Cuyamaca College at 619-660-4350. Green (or living) roofs are an engineered, lightweight roofing system that supports plants. Green roof technology is popular in northern Europe and Japan, and used in some North American cities including New York, Chicago, Toronto, and Portland. But modern green roof technology is not well known in most of the United States. Prevent water pollution by reducing the amount of storm water entering sewer systems, slowing it down and filtering it. Lower ambient air temperatures, combating the urban heat island effect. 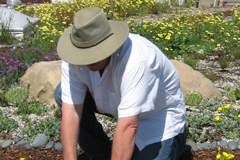 Good Earth Plants is contributing to the development of a plant palette specific to arid climates such as San Diego. Mumford focuses on drought tolerant succulents that will tolerate the harsh conditions found on roof tops in San Diego County, which has inhibited their widespread use here. Mumford is also experimenting with green walls, and recently planted a vegetable wall.